8 days from £3529pp plus international flights. 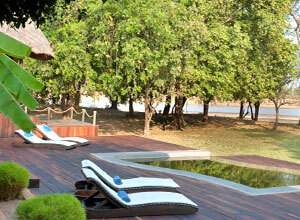 An emerald season safari in South Luangwa National Park. Available late January to end March. 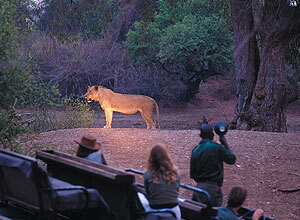 A superb mix of game drives, boat rides and walking safaris. 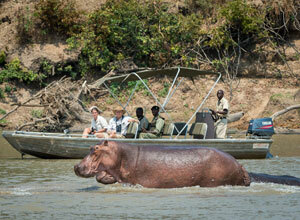 Run by the well-known Robin Pope Safaris. Staying in 3 high quality, small camps. 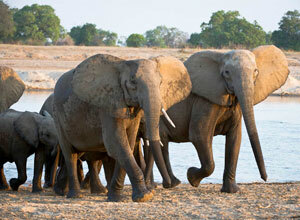 South Luangwa National Park is one of the foremost safari destinations in the whole of Africa. 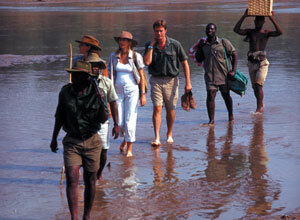 The Luangwa Valley marks the end of the Great Rift Valley and is a wonderfully unspoilt area. You have a week to immerse yourself in this environment, searching for wildlife, taking in wonderful views and enjoying warm hospitality. This holiday combines three camps. You'll have a choice of activities including walking, driving and boating and no two days will be the same. Your expert guide is passionate about the environment and its inhabitants and this enthusiasm will be evident as you explore together. 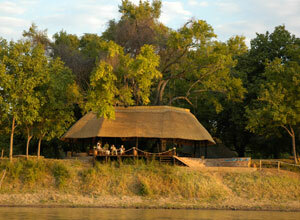 When not out wildlife viewing you'll have time to unwind in camp. These properties are small, accommodating a maximum of between ten and fourteen guests, so you won't be part of a crowd. 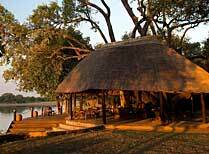 each camp has an attractive central area where you'll dine, chat and relax, Two have pools and from all you'll be able to watch animals as they gather at the river or lagoon to drink. 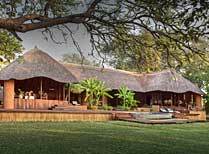 This holiday is run by Robin Pope Safaris, one of Zambia's best known and respected safari operators who've been in business since 1986. They are committed to offering their guests the very best safari experience and their staff and guides take great pride in their work, so you'll be in the best of hands. Note: This is a sample itinerary. These three camps can be combined in any order you wish to form your own eight day holiday. 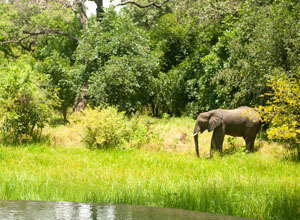 We'll be happy to help you plan the perfect safari. Please note that these small camps tend to book up well in advance. Price notes: 2019 Guide price pp sharing. 22 Jan to 31 March 2019: £3,529. 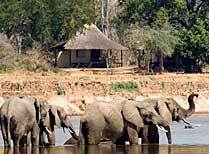 Full board accommodation, flights Lusaka-Mfuwe-Lusaka; guide/ranger for walks, local drinks, park fees, activities, airport transfers, laundry. International flights and taxes, domestic flight taxes, visa, travel insurance, premium drinks, tips, personal expenses. You need to fly into and out of Lusaka. Flights will cost from about £900 pp. 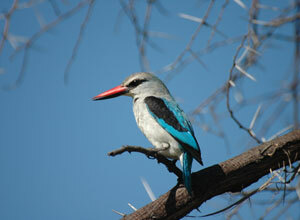 British Airways no longer fly into Lusaka, so the best way to get here now is via Johannesburg. We can help you with your flights and will get the best possible price for yo. Departure dates: This green season holiday can depart on any day of your choice between 22nd January and the 31st March 2018, subject to camp availability.